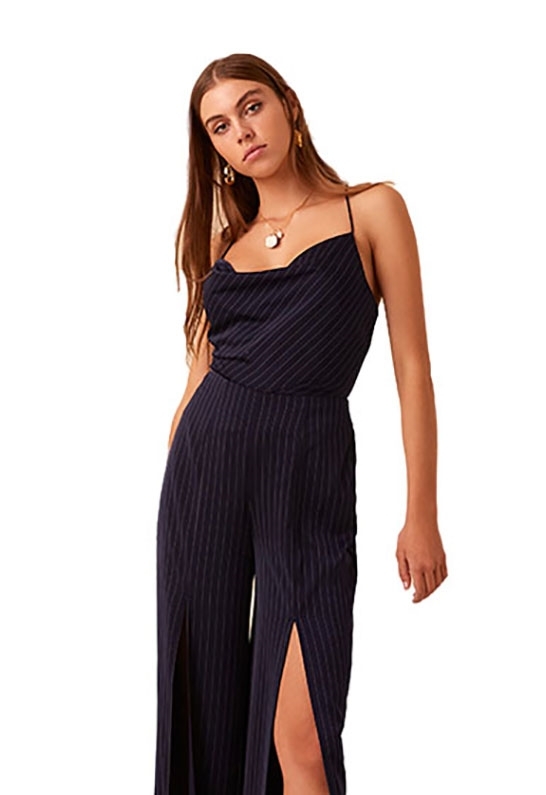 Finders Keepers Flamenco Cami in Navy Stripe features a drape neckline, cami straps that V in the back, allover pinstripes and is partially lined. Length is about 20". Measured size medium.